But careful not to lose the way. That makes it worth the journeying. A few weeks ago I was talking to a RWD comrade, Gretchen, about Bulldog hockey and traditions our families used to have. When college hockey was erroneously and comically reported to be dying, I commented that tUMD games were back on television, a sign that advertisers found the product worth sponsoring once again. Gretchen mentioned all the games were on TV when she was younger, and her family would have a big party for the Bulldogs-Goofers games. I thought back to when I was young. Of course, I grew up in suburbia and not in Duluth, so tUMD games weren’t on TV for me. We found out about the Bulldogs games through my grandparents and through the DNT, which my dad subscribed to by mail, and we went to the Civic Center for the WCHA Final Four every year. It was really tough to be a college hockey fan back in those days. One really had to try. I occasionally used to watch tUMD hockey on television as well. 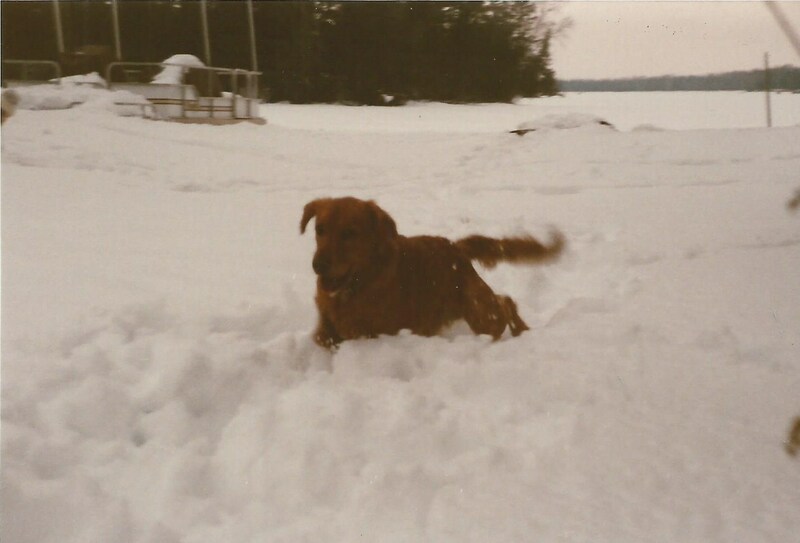 My grandparents owned a log cabin on Nichols Lake in Canyon, MN, but in the winters started going to Florida (they live there now and still follow the ‘Dogs via the web [and RWD]). 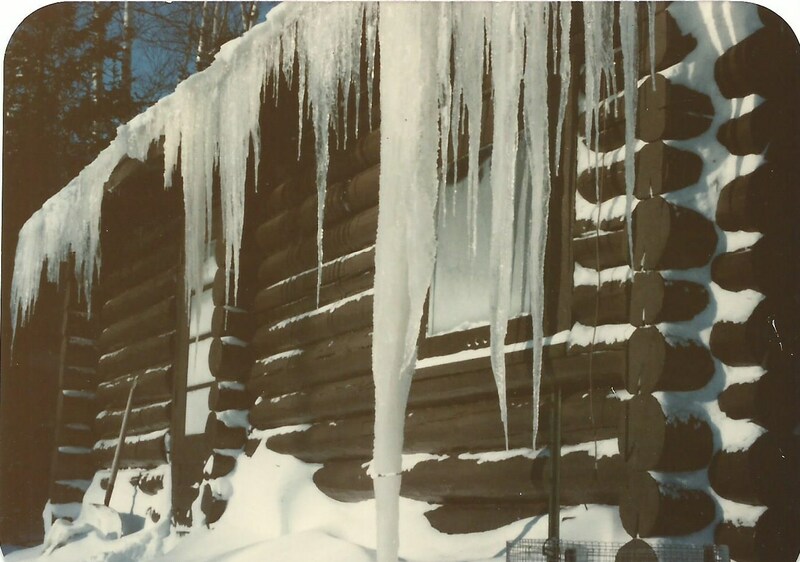 You, too, would go to Florida, if your home had icicles like this by Thanksgiving. 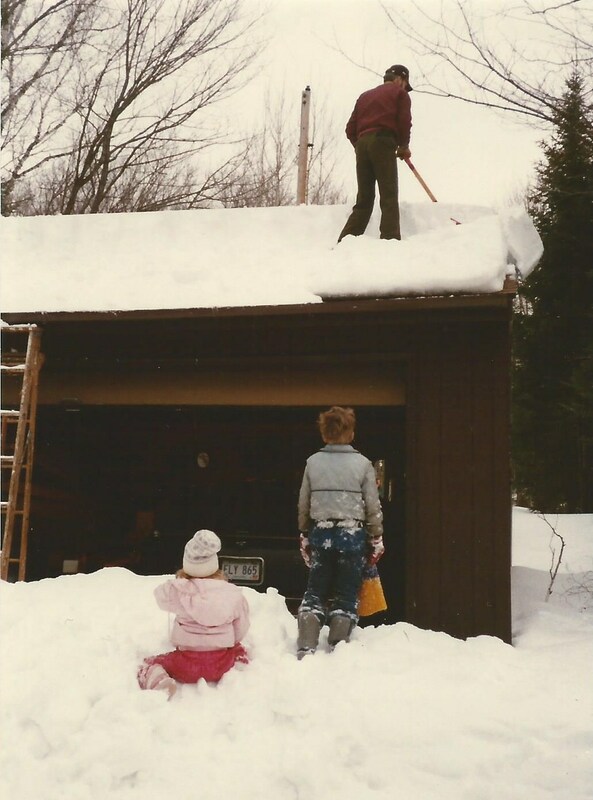 During the winter, our family would go up there and check on the place and make sure it wasn’t completely buried under snow. The main cabin was completely shut down and we would stay in the “bunk house,” a converted boat house, with no running water, a somewhat tricky heater, and the first microwave ever sold. We ate TV dinners (I always ate the same one: fried chicken, corn, mashed potatoes, and a brownie) and watched Bulldog hockey on a black and white television with sketchy reception, fiddling with the antenna to try to get the snow off the screen. In addition to watching hockey, we also played hockey. Of course, that started with clearing the rink (after making a hole in the ice with an augur to make sure it was safe to skate on, because we’re not idiots.) Everyone pitched in. 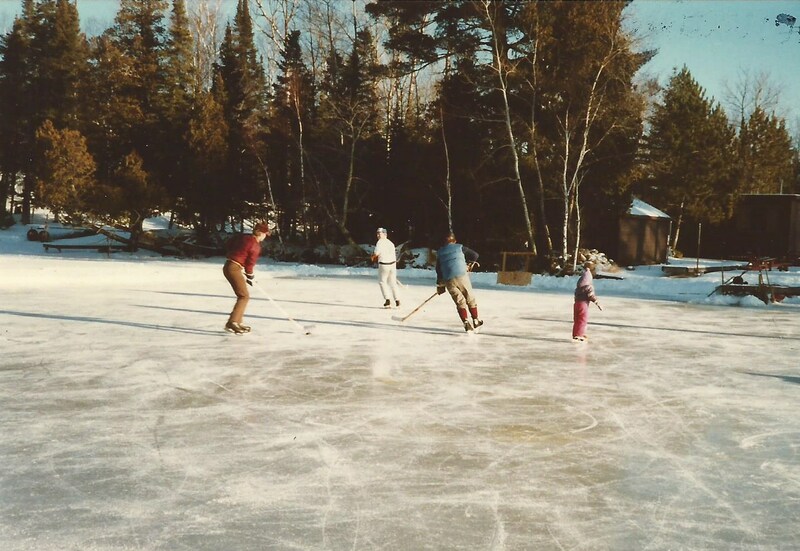 If you can walk, you can shovel the rink. 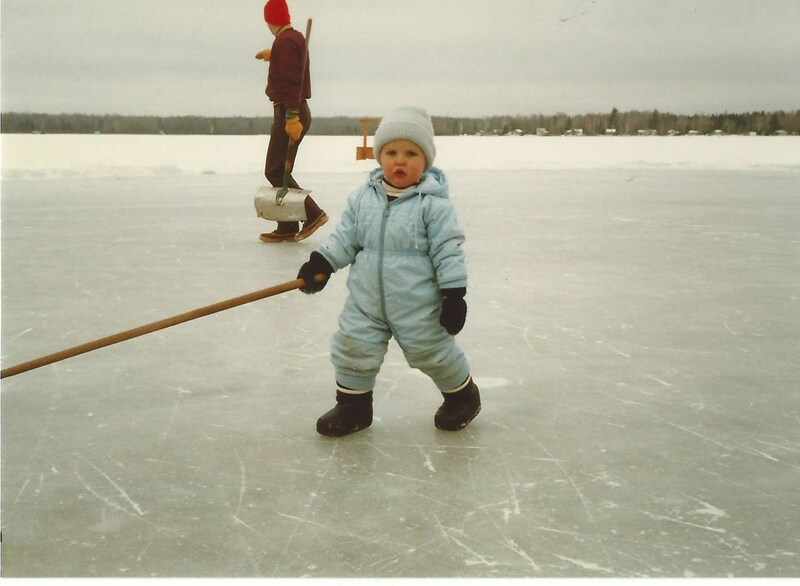 As you can see, my skills at hockey have not improved much. That was Christmas, 1987. A newborn Biddy lived just a few miles away from me and I didn’t even know it! 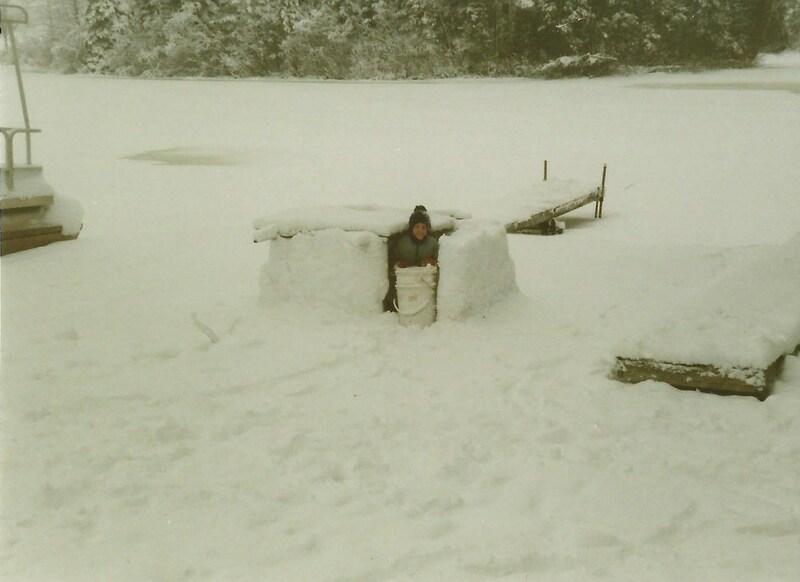 When there weren’t enough people to warrant a hockey game, we just made cool snow forts. Hello there, UMDDogz! 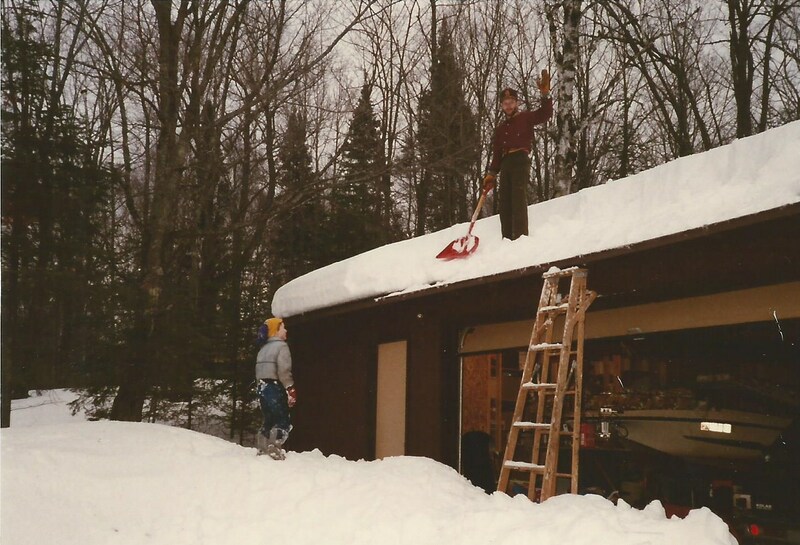 And climbed up on the roof of the garage for a little snow removal. Dad needs two supervisors for this task. How’s the weather up there? He’s got a Bulldog hat on, of course. 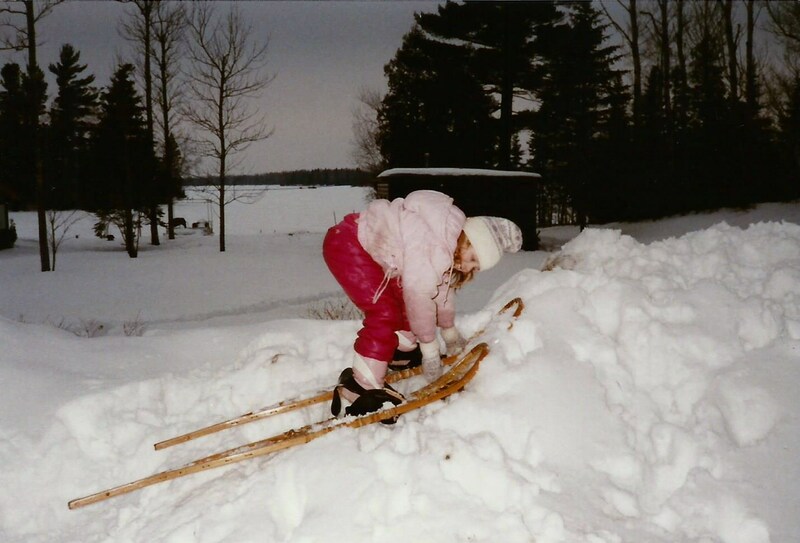 And tried out various other winter sports. You can only dream of being this happy. Even though I didn’t grow up in the region, it’s still fascinating how many connections I’ve made in this little town. I met a woman whose family owned the cabin next door (which caught on fire early one morning in the summer; we formed a little family fire brigade and put it out), and I met a woman whose in-laws owned the cabin before our family did. As I connect with more fans up here, I always love hearing their fun, unique fan traditions and memories. I’m always up for a good Bulldog hockey story!